I’m not a trend-setter. I’m 31, pudgy, married, and writing this from my modest ranch hidden among 5000 other modest ranches in a suburb about 90 minutes outside of New York City. I shop at Big Y, buy my clothes at Khol’s, and look forward to Sunday Night Football every Fall. I’m also not really a trend-follower. Ultimately, I spend my time under-the-radar, paying my taxes, and mulching my lawn. Which makes my switch from Nikon to Fuji pretty remarkable. I started with Nikon in 2004 when I took a job shooting as a freelance photojournalist for a local newspaper in my home state. I was a Canon shooter, until my editor gave me the code to access the lens closet at the paper. There stood before me an entire utility closet of Nikon glass. Nearly a hundred lenses, and I could use any one I wanted… provided I had a Nikon body. I sold my Canon and bought a Nikon D100 the very next day. I’ve put about 1.4 million clicks of the shutter through my various Nikon bodies over the years, and I’ve owned all the glass you could imagine to go with them. I know the Nikon system inside and out. "...But I'll Be a Long Time Gone." 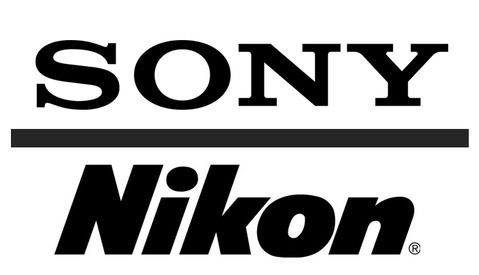 I didn’t leave Nikon for Fuji because Nikon had suddenly started making poor-quality products. Except for the notorious banding issue on the 750 (which I was lucky enough to experience twice, on two different bodies at the same wedding), I never really had a problem with my Nikon gear. The lens lineup was great, I had a collection of Sb-910 flashes that I still love to this day, and Nikon cameras just seemed to work. Then one day a friend of mine brought over his Fuji Xpro-1. What was this small, strange looking, Leica-esque camera he just placed in my hands? I borrowed it for a couple of days and I fell in love. It was weird and new, as clunky as it was nostalgic, and it threw me right back to the days of firing off Portra 160 when I was a kid. I wanted in. If you know me personally, you know that once I decide that I’m doing something, I do it at 150% until it’s done. I did the same thing with switching from DSLR to mirrorless. Within four months of picking up my first Fuji I owned an entire system, backups included, and switched to shooting my weddings with my new kit full time. iPhone photo of the vendor table at my last wedding. 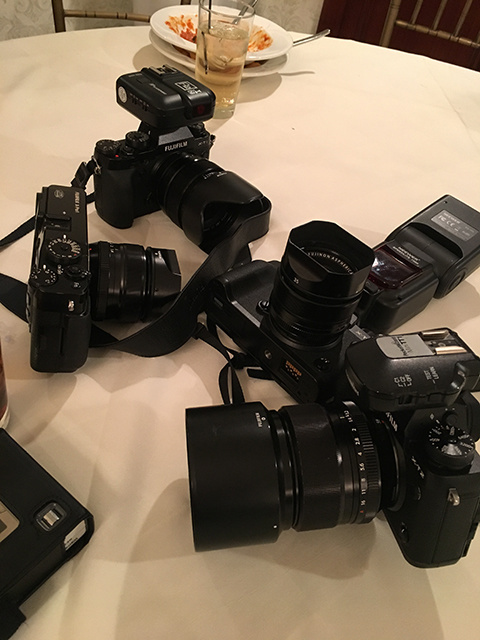 There are lots of tangible, calculable reasons why switching to mirrorless makes sense for a wedding shooter. The weight and size of the gear notwithstanding, the image quality, colors, and ability of these cameras and lenses to focus wide open is outstanding. There are also lots of reasons to not switch. The lack of a solid, well-integrated flash and lighting system being the big one. However, I switched because it changed the way I feel about photography. Something about this kit, some indefinable quality that can’t be measured or described has reinvigorated me as a creative professional. It’s put the spark back in my work that I haven’t felt in years. 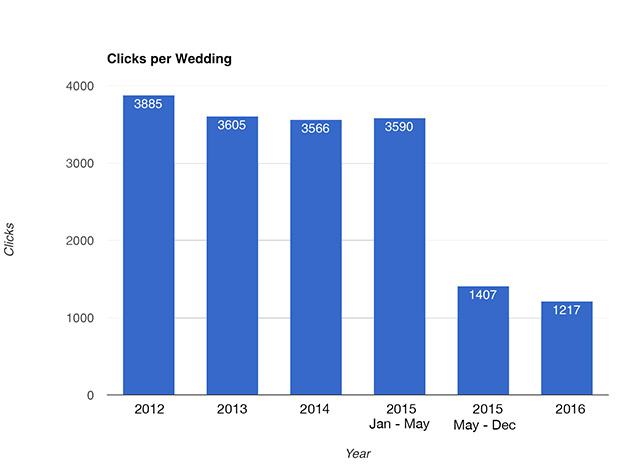 I shoot a lot of weddings… probably more in a year than most do in three or four. So if you want to tell me I was burning myself out I probably can’t argue too much. This Fuji system has changed everything for me. The first wedding I shot on a Fuji I found myself caring more about my composition than ever before. It slowed me down. I went from shooting an average of 3500 images per wedding to about 1200. I was more in tune with the pace of the day, and I felt seamlessly intertwined with the cadence of each wedding than I had ever felt before. I also shed all of my gear. No more big bags, no more lens belts, or duel-shouldered straps. I’ve actually never owned a lens longer than an 85, but the idea of dropping all that bulky, clunky equipment is what did it for me. I finally felt like I could get the images I envisioned. Why did it take a switch to mirrorless for this to happen? Someone in the Fstoppers boards once told me they likened the use of the word “artist” as a descriptor of oneself to using the word “master.” I decided to start referring to myself as a creative professional instead. The Fuji system has pushed me closer to truly being the artist that I want to be than any other change or integration to my workflow. We are tasked, as photographers, with this enormous challenge of capturing the subjects we shoot as they truly are. We have to create a timeless and honest representation of that moment that will withstand time, life, and death. For me, the switch to mirrorless helped me reunite with the passion I started with when I shot my first wedding nearly 300 weddings ago. I remember that feeling, when I opened the lens closet at the struggling newspaper. Beat up and blemished lenses that, if they themselves could talk, would pen a million different stories told by all the photographers who had come and gone before me. I was like a kid in a candy store. There was no assignment I couldn't tackle with this kind of equipment. For the first time in my young career I really believed I could do this. I felt that same rush of excitement and determination the first time I picked up that Fuji. That’s why I switched, and that’s why I have never looked back. Thanks for sharing this great post, Eric. I think you captured the essence of Fuji-X system and why so many professional photographers have made the switch are not looking back either. Question: Which do you find most use for in your wedding photography? 23 or 27? Hi Tony. Thanks for the read and the comment. There's a big price different between the two, but the 27 only opens as wide as 2.8 and I like shooting at 1.4 on the 23. With all that said, that 27 is a killer walk-around lens, especially for the size. Nice! I do miss my fuji system greatly. Does anyone have experience tethering the XT2? A good friend of mine has a busy studio and he shoots with some Fuji gear (combined with an 810). I believe he tethers with an eye-fi card. I should reach out to him and see if he could do a guest post on how he shoots with his mirrorless kit in-studio. Im pretty sure I would shoot myself in the face if I had to use an eye-fi to tether. That said, if he can make it work and not be an exercise in masochism i'd love to hear his approach! There still isn't a tethering system that works for pro's. I own a Fuji XT2 and I can tell you it's not worth tethering with. Because fuji failed me with this, I recently purchased a canon set up for some of my studio work. I waited 1.5 years and just grew tired of waiting. Thanks! Ill have a look! I'm sure you can find more info on it yourself. They also just released a new FW 2.0 which adds a lot of nice features and tweaks. I shoot tethered with the X-T2. No issues. I did need to buy a $29 plugin to make it happen, but I bough that ages ago for the X-T1 and it still works on the X-T2 no problem. Would love to switch but don't trust the video-capabilities yet. Any experience with that? The main video site I follow is eoshd; the site owner is an excellent videographer and the XT2 is about his highest rated camera for tripod and monopod use. But unless you can afford and XT2 and booster grip, then I'd look at Panasonic rather than Fuji. With the limited amount of video I've done, I agree with David below... the XT2 would be the body for video. I would say at 99% of the weddings I shoot where the videographer is on a mirrorless system he's using a Sony rig. They are crazy good in low light, plus the Fuji lens lineup doesn't have a lot that has built in IS. I will say that the 4k stuff I pull out of my XT2 for real estate walk-through work is really nice. I don't use it for more than that, so I wouldn't be the best to talk about it. he shops at Big Y too. Occasionally, when my wife want's something really specific, I'll even venture into the local Stop & Shop. I like to get crazy. because other people can relate to how he feels? 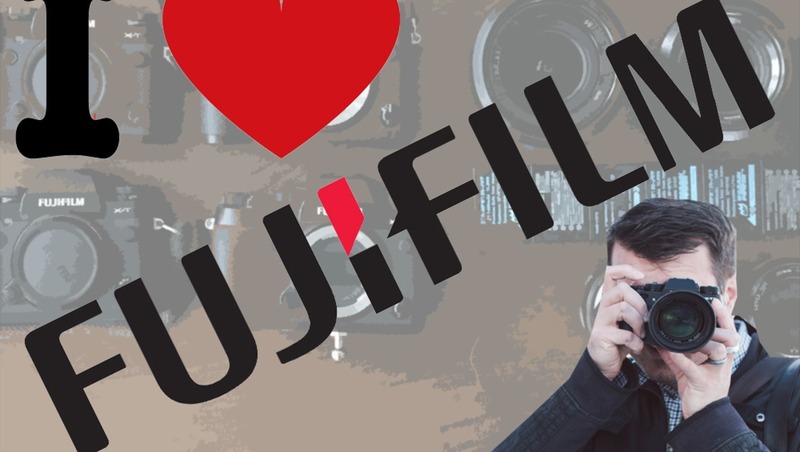 I've had an almost identical experience as him and switched to Fuji as well. Just because you couldn't relate to this doesn't mean that it shouldn't have been posted or written. Maybe Fstoppers will refund the price of your subscription, seeing as how you are so disturbed by this article? To be fair to myself, I just bought a row machine for the basement, and I plan on losing at least 4 pounds when I start using it next year. 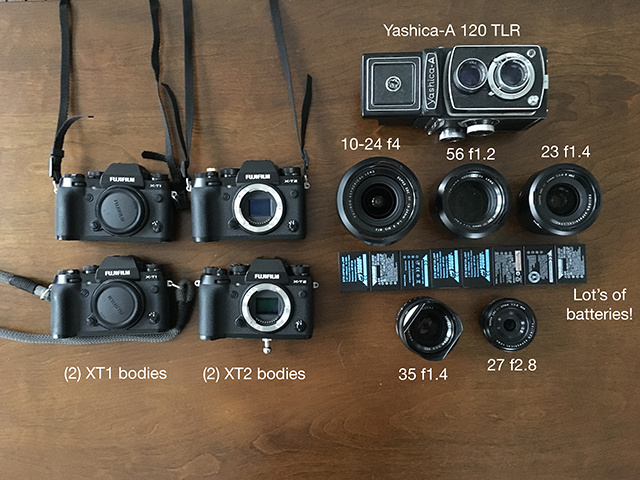 Somebody may be interested in getting into the Fujifilm system. That's "who cares," and that's "why." @Adrian P: Wow- such vitriol. I support your choice to depart this community if comparing systems triggers such a gag reflex in your mind. I thought the article was provocative, informative, and entertaining. 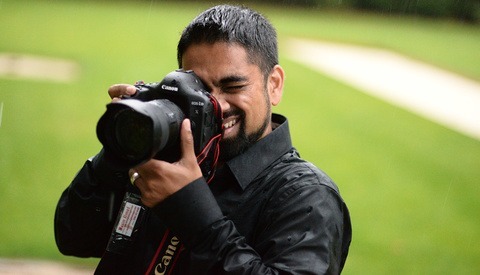 BTW, I shoot Nikon DSLR, if that matters- not a fuji fanboi. Well, if you admit that many other photographers (not like you) may be in a period of deciding IF to switch and WHAT to switch to, you can immediately see some value of Eric's article. 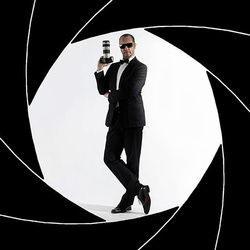 I can understand him about the feel of the camera - although Fuji won't probably be my choice. To keep you thrilled I will let you know when MY article about switch (and my shopping habits) will be out, OK? BTW - were you forced to read Eric's article? Did you have a gun at your head? He told a story. You didn't like the story. That's a you problem, not a him problem. I don't have a dog in this race; couldn't care less about DSLR vs Mirrorless or Fuji vs Nikon, but statements like this: "Something about this kit, some indefinable quality that can’t be measured or described has reinvigorated me as a creative professional. It’s put the spark back in my work that I haven’t felt in years. ", drive me nuts. I wonder if Picasso had the same reaction to a new set of brushes or Julia Childs to a new stove? Actually, most painters are very fussy about the pigments and brushes they use. And if you doubt the importance of tools to chefs than I suggest that you read the relevant section of Bourdain's Kitchen Confidential. The type of stockpot can have a big effect on stock - some people will only use a the professional sized equivalent of a pressure cooker. In general, it's not a great idea to draw on things you know little about for metaphors..
Cameras are more complex tools than brushes or saucepans, so it's natural there will be more variation. I'd hate to go back to shooting a DSLR. Being able to shoot with phase detect focus while getting angles the rear screen allows me and a DSLR ovf wouldn't matters a *lot* to me. I could shoot without that capability, but not the way I want to. So you're suggesting that everybody else who doesn't use mirrorless does a crappy job and doesn't know what he misses? The guy just told you that HE DID SHOOT MIRRORLESS AND HE DIDN'T LIKE IT.